While Austria’s policy-makers are enacting numerous bills against climate change (Green Belt STEP 2025, Smartcity Wien environmental projects), young people are determined to apply even more pressure on politicians to protect the planet. #FridaysForFuture, an international movement initiated by Swedish environmentalist Greta Thunberg (16) encourages students to ditch school and take to the streets. Thunberg began protesting outside the Swedish Parliament last August (2018), raising global awareness and kickstarting an international movement, with students in 270 cities following her lead. 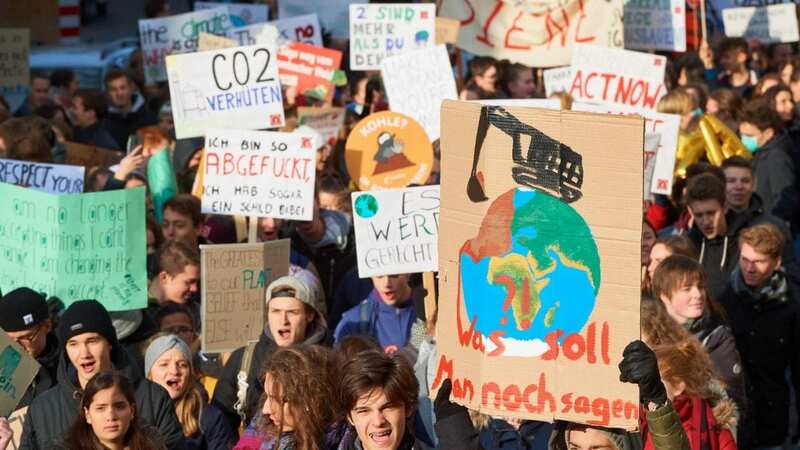 Viennese students launched their KlimaStreik last December but have been gaining more momentum recently, with last Friday’s (Feb 8) strike attracting around 150 participants at Heldenplatz and receiving media coverage. Local schools have worked closely with FridaysForFuture to ensure students do not get in trouble for skipping class, with some even sending teachers along and incorporating the protests into their “Political Education” curriculum. The next strike is planned this coming Friday, 10:00-13:00 at Heldenplatz.